Wallaroo Marina Apartments is a multi-award winning landmark tourism development – the first and only complex of its kind in the region. 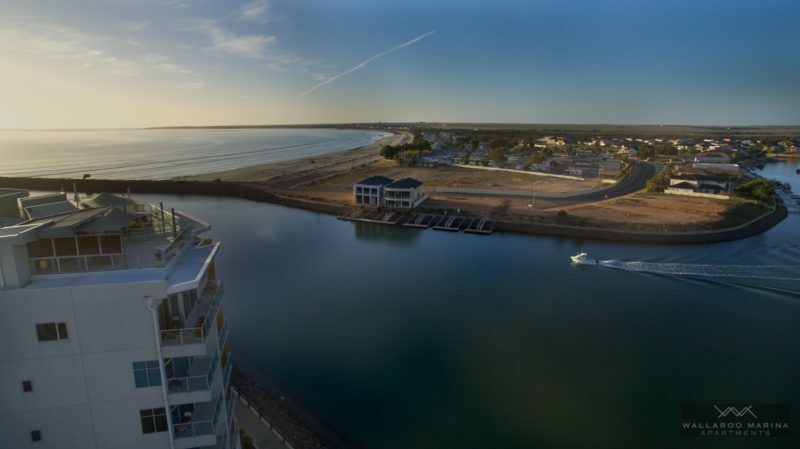 Five-storeys high and boasting 20 modern, spacious apartments at the top of the Yorke Peninsula, the Wallaroo Marina Apartments are located on the waterfront of the Wallaroo Marina basin with stunning views over North Beach. You can choose from either Suites, Executive Apartments or for that added luxury The Penthouse with private rooftop sky garden. A recent addition are our Boardwalk Apartments which are perfect for the family getaway with 3 & 4 bedrooms. 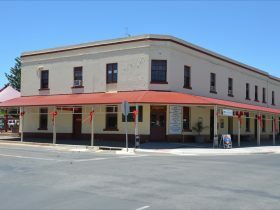 As well as catering for holiday-makers and business visitors to the Copper Coast and other parts of the Yorke Peninsula, Wallaroo Marina Apartments are strategically located next to the Sea SA ferry terminal providing an ideal stopover for people travelling to and from the Eyre Peninsula. 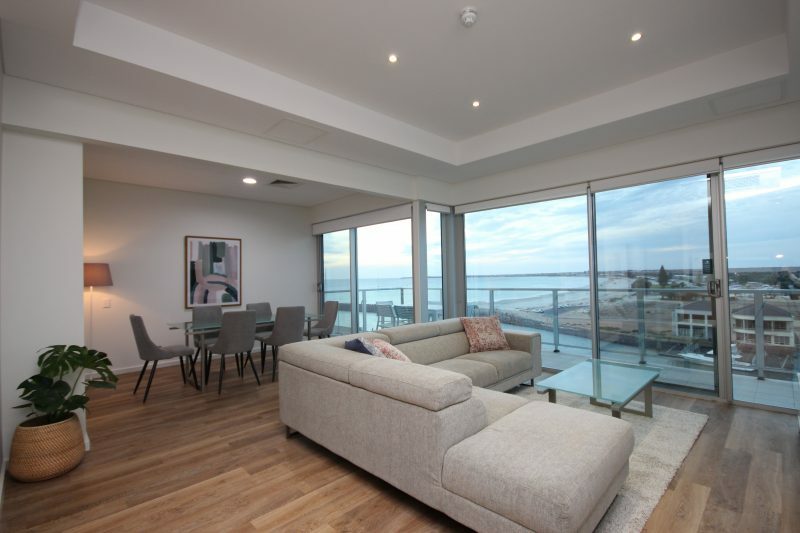 Wallaroo Marina Apartments boasts five Suite rooms, which for larger groups, if booked in conjunction with an Executive Apartment, have a connection door to ensure the holiday experience can be enjoyed together. Complete with private balcony, queen size bed and large bathroom the Suite can accommodate up to two guests. 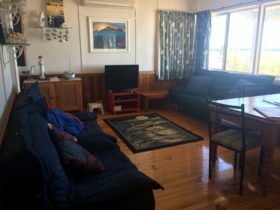 Wallaroo Marina Apartments boasts 16 Executive Apartments and combined with the Suites gives the Wallaroo Marina Apartments the capacity to accommodate a full bus load of guests. The room has a kitchen giving the guests a self contained holiday experience. Slightly larger than the Suites they offer a separate bedroom with en suite bathroom and double fold out sofa allowing up to four guests the enjoyment of staying in the room. 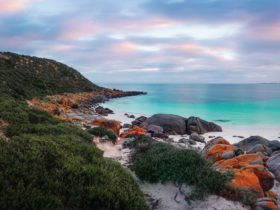 Private balconies ensure you will be able to soak in the views and natural beauty on offer in Wallaroo. 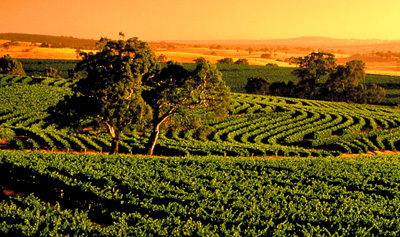 Looking for a luxury weekend getaway? You can’t go past the Penthouse accommodation with exclusive use of the private rooftop sky garden. 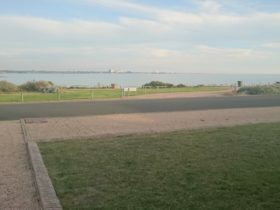 With the best views Wallaroo has to offer you have the option to enjoy stunning North Beach, Marina Basin views or look back over the town and landmark silos. Well furnished throughout and with the ability to accommodate up to four guests, it is a viable option to give you a truly relaxing weekend away on top of the world. Guests in the Penthouse also will receive complimentary daily newspaper delivered to room, undercover secure car parking and wine and chocolates. 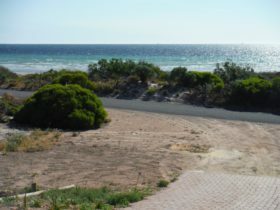 Located along the Wallaroo Marina Boardwalk and situated adjacent to the Wallaroo Marina Apartments is our brand new offering of a two-storey townhouse. Featuring spectacular waterfront marina views from the upper and lower balconies the apartment can sleep up to 8 guests. The apartment also offer 2 bathrooms, fully functional kitchen, secure undercover parking, air conditioning, open plan living area and back deck with bbq over-looking the Marina. 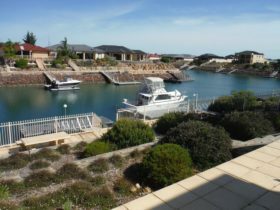 As guests of the Wallaroo Marina Apartments you can enjoy our award winning services and facilities as well as the comfort and privacy of your own townhouse. Featuring spectacular waterfront marina views from the upper and lower balconies the apartment can sleep up to 6 guests and offers 2 bathrooms, fully functional kitchen, secure undercover parking, air conditioning, open plan living area and back deck with bbq over-looking the Marina. Looking for a luxury week end getaway? You can’t go past the Penthouse accommodation with exclusive use of the private rooftop sky garden with BBQ. 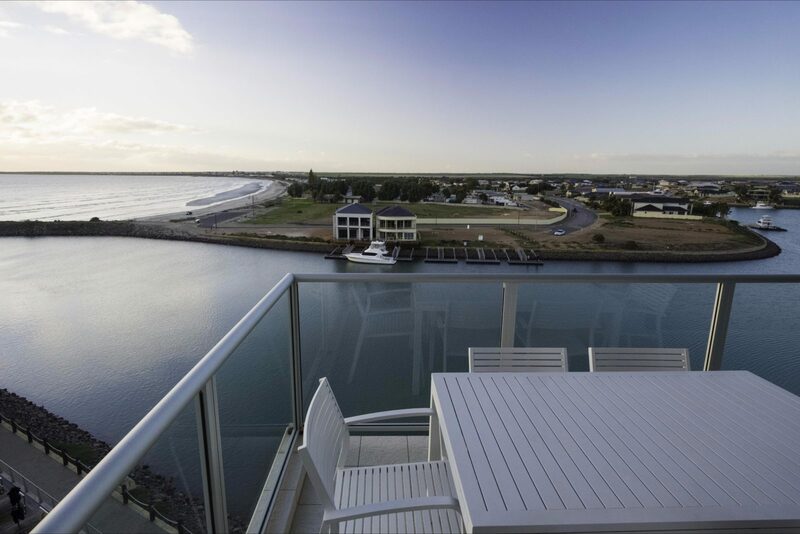 Offering the best views Wallaroo has to offer you have the option to enjoy stunning North Beach, Marina Basin views or look back over the town and landmark silos. Well furnished throughout and with the ability to accommodate up to 6 guests, it is a viable option to give you a truly relaxing weekend away on top of the world.